Here is are some general guidelines to give you an idea of the trajectory of progress that you can expect when you take Alexander Technique lessons. The number of private lessons that people take varies from person to person. It depends on how quickly you are able to integrate the work and apply it on your own and what your goals are. Here is are some general guidelines to give you an idea of the trajectory of progress that you can expect. Generally students take lessons once per week, though they can be taken more frequently to speed up progress. 1 lesson: Feel lighter and lesson compressed after the lesson. Improved physical awareness when sitting standing and walking. Begin to notice your daily postural habits. 5-10 lessons: Maintain the changes that occur during the lessons on a more consistent basis. The student gains more clarity on how they are using their bodies during more demanding daily activities such as exercise and social activities such as during meetings or casual conversations. 10-20 lessons: Habitual ways of holding the body start to loose their hold. 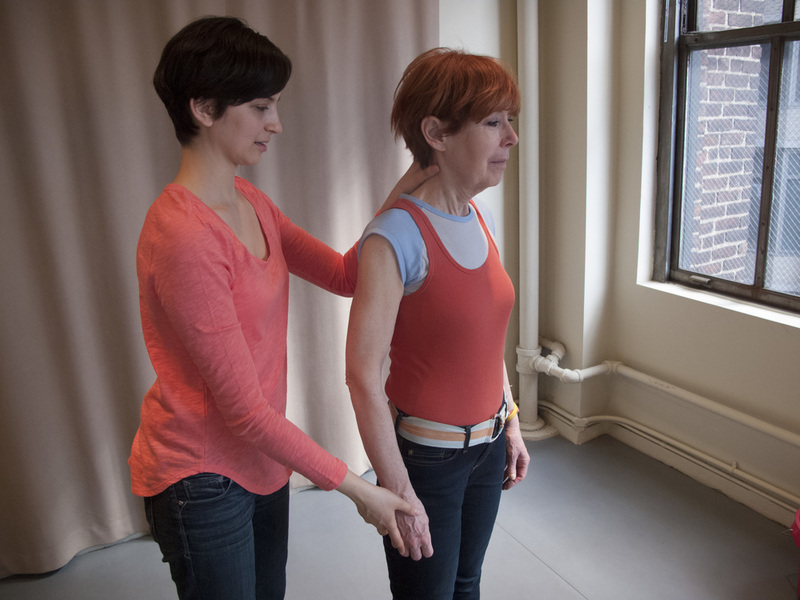 More natural posture starts to feel more normal and to stay with the student. The student begins to change habits of how they hold their bodies in social settings, meetings, and during public speaking. Students begin to change their physical responses to stress. 20-30 lessons: A baseline of new postural habits has been established to the extent that the student notices readily when they are slipping back into the old habit, which is less and less frequent. The new, more natural way of holding the body feels normal. The student applies the technique during more demanding activities such as working out at the gym, running and yoga, with increased success. 30+ lessons: Continued progress and refinement of application of the Alexander Technique to all activities. Continued regular or occasional lessons result in maintaining skills learned, continued progress in terms of maintaining well-being and avoiding injury.